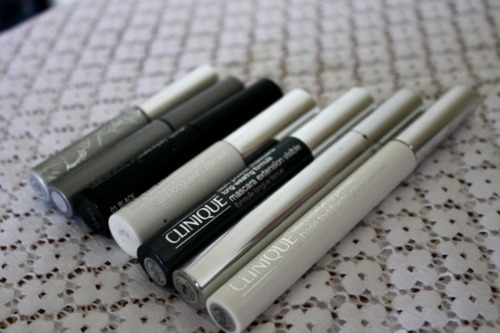 I’ve been using Clinique mascaras for about 3-4 years and over those years I’ve tried many many different ones, even some that are now discontinued. I thought this post would be helpful to anyone wishing to purchase one of their mascaras and hopefully help point you in the right direction to which one would suit you best based on my opinion. I have tried out and owned every single mascara mentioned in this post, whether it be using the full sized product or having received a mascara sample from a previous purchase. I have tried out more than what is featured here but I didn’t want to feature products I didn’t have on hand at the moment so if you do want to know about any of their other mascaras just leave me a little message! 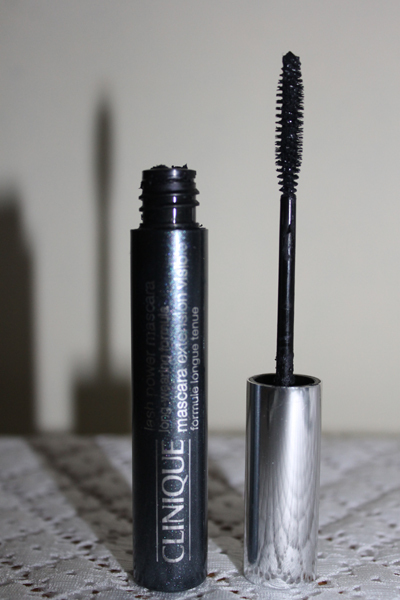 This mascara is probably one of Clinique’s best selling mascaras. 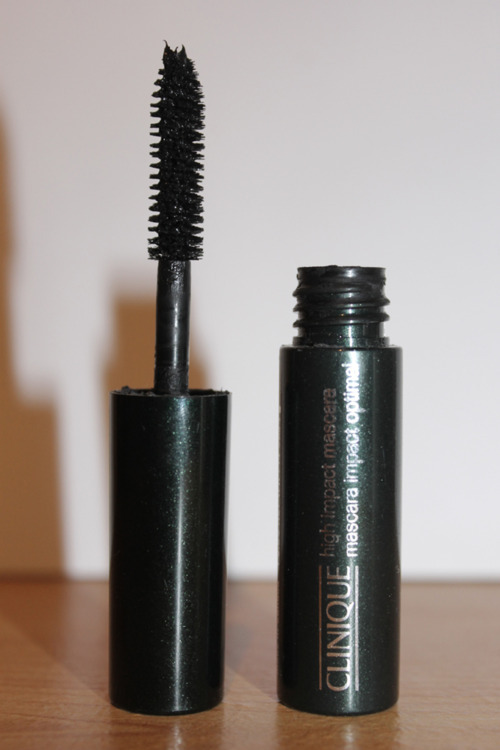 To me it creates much more volume compared to the other mascaras but still can achieve a good length. The formula isn’t thick or gloopy at all, it’s very easy to apply and build up coverage without over clumping the lashes. 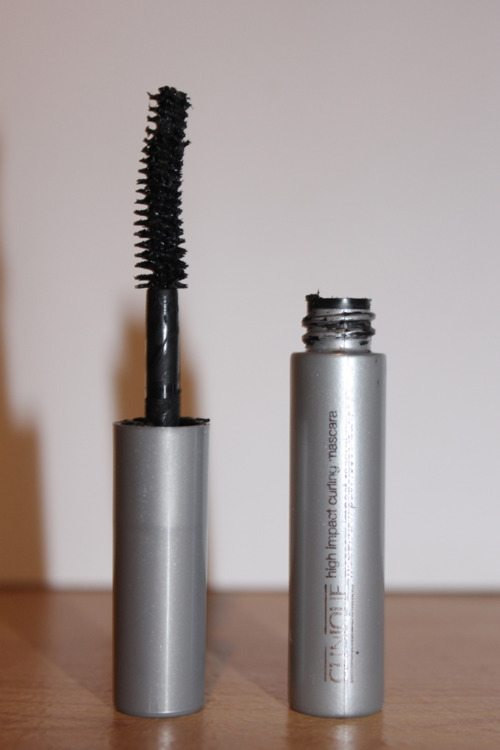 This is a variation of the high impact mascara but focuses more on curling than volume. It creates lovely defined curled lashes without having to use eyelash curlers. Perfect if you want to create a kind of innocent/pretty look. I still haven’t decided my opinion on the plastic brushes vs the normal brushes but I do really like this mascara. I currently only have tried a sample of it but it’s very easy to use and combs through each lash very well. The fact that this mascara has combs on only one size means that it’s easy to catch the inner corner lashes. I’m not really sure why I purchased this mascara in the first place but I’m so glad I did! The brush is very thin and tiny so it catches each lash very well and makes the lashes appear long, separated and completely un-clumpy. 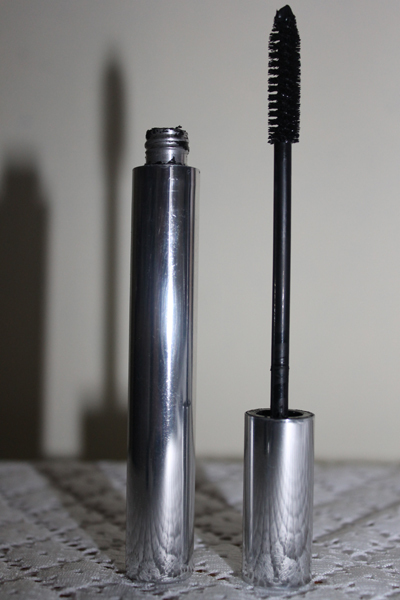 If you’re looking for volume then this wont be the right mascara but it’s definitely perfect for a daytime look. 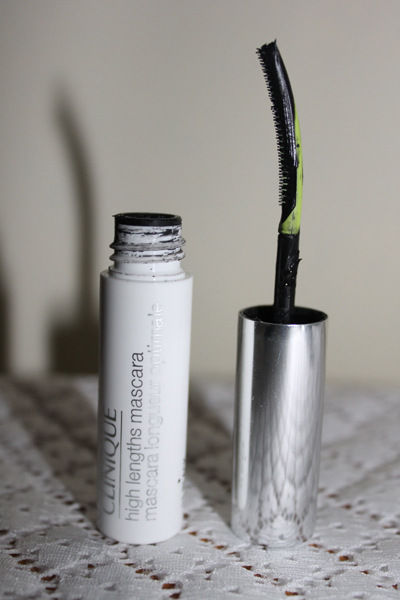 This is probably my least favourite out of the Clinique mascaras. To me the brush looks a little bit plain and the bristles are very close together so it’s hard to get the lashes inbetween them so you end up with a very thin coat of mascara. I would say there are much better mascaras in the range. 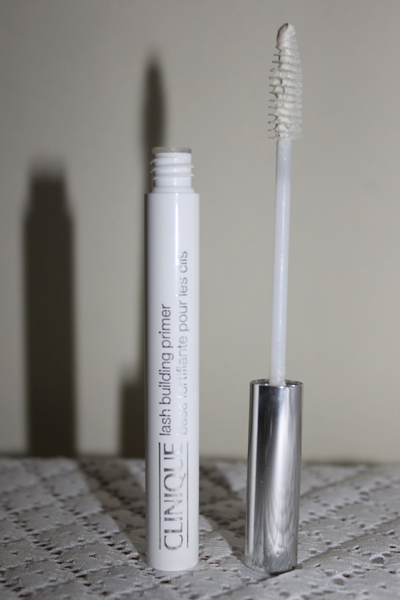 I never usually purchase primers but I thought I should give this one a go because i’ve been impressed with Cliniques mascaras so far (as you can tell!) 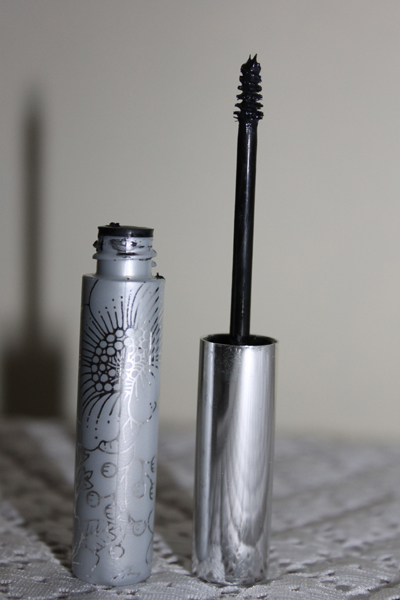 This primer applies very thin so your top coat mascara won’t clump with it. It extends the lashes so much and really makes a difference to the overall outcome of your lashes. It’s maybe not an essential purchase but it does work very well. I’m sure a ton of you have heard about this mascara. Maybe not an essential product to have but if you want to make sure you have your bottom lashes taken care of then this tiny brush is great. Due to the size of the brush it makes it perfect to catch those lashes in the very corners which can make a huge difference to your eyes to give them that kind of Bambi lash effect. There you have it, my Clinique mascara guide! Obviously no one needs this many mascaras and from what you can see lots of them are very similar but each have little differences so if you were buying one I’d make sure you know what you’re looking to achieve. I did plan to include photos of me wearing the mascaras but as the majority of them are out of date I felt like that would be setting a bad example to wear them. In my opinion my top three would be High Impact, Lash Power and Bottom Lash because I think they all have something different to offer with length and volume! Thank you so much for this guide, very helpful. I'm currently looking into the high impact one!